Each year the Lunar New Year celebration in Sydney seem to get bigger, they are now said to be one of the biggest outside Asia. Aussies love a party, and with many of our residents having Chinese, Korean, Thai and Vietnamese ancestry it’s no surprise we there are more than 80 events across the city. 2019 is the year of the Earth Pig which in Chinese astrology is said to be a positive year with a balance of good fortune, wealth and fun. 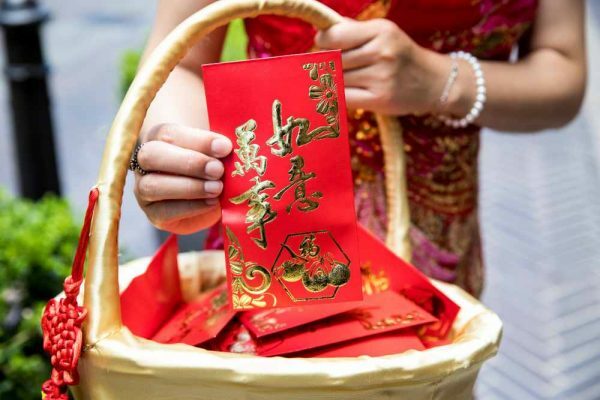 While Lunar New Year actually falls on Tuesday 5 February, the festivities run from Jan 29 to Mid-February. So read on and find an event to enjoy. Looking for the best places to celebrate the Year of the Pig. Look no further; celebrations will run from Feb 1st to at least the 15th and are spread across the city from the Quay to Chinatown, Chatswood to Cabramatta. There is something for everyone, and best of all most of it is free! 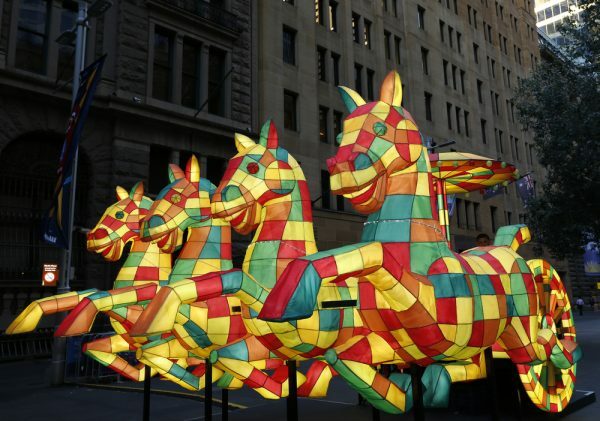 A local favourite is the Lunar Lanterns display which will line the Harbour foreshore for just ten days from Feb 1-10. The area will be home to 12 large colourful lanterns, 4 of which are new for 2019. 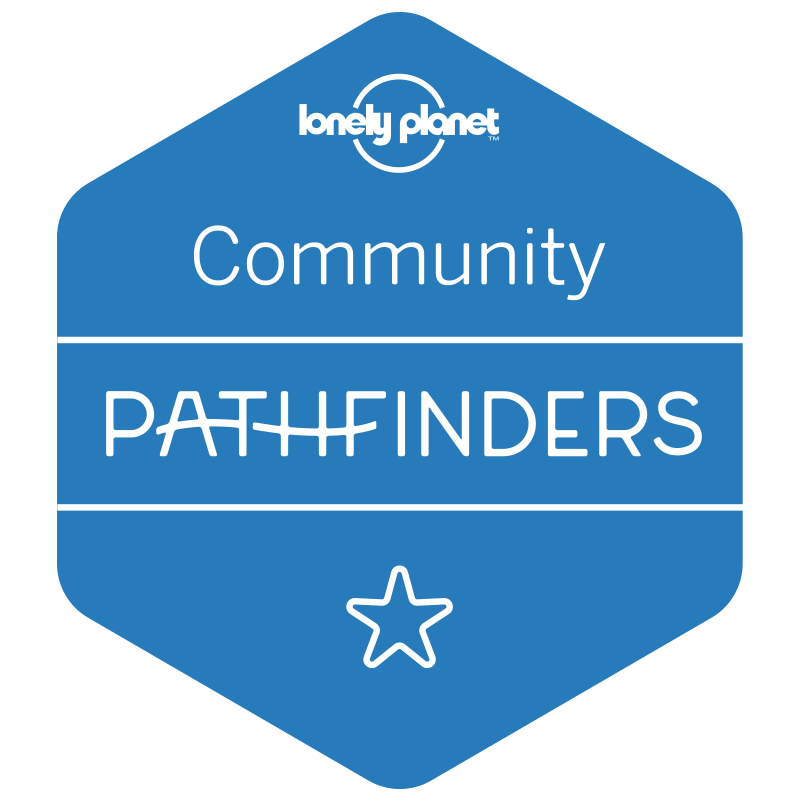 Check out the map here and snap a photo with your lantern. 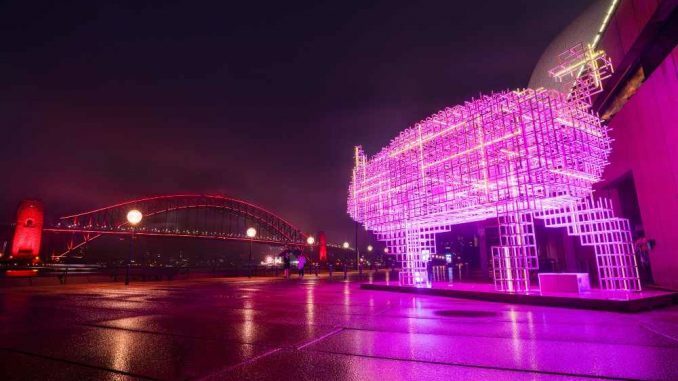 The pig (pictured at the top of the page) will take pride of place outside the Opera House, and the Harbour Bridge will be lit in shades of pink and red each night for the duration. 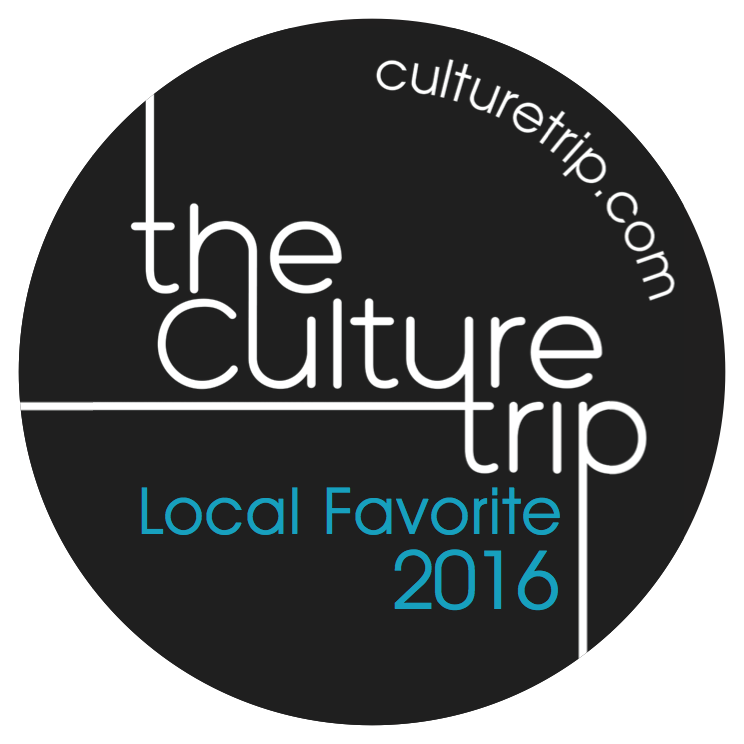 You can also download the free Culture Walks app and follow their tour. The Rocks, Lunar Spectacular Show will take over First Fleet Park in the Rocks from 5 pm – 9 pm on Saturday 9 February. Music and Dance performances from community groups representing Chinese, Indonesian, Japanese, Korean, Taiwanese, Thai, and Vietnamese. If your idea of celebrating the Year of the pig includes eating sweet treats then you best head for the Lunar Market at The Rocks where you can find Pig shaped candy floss. 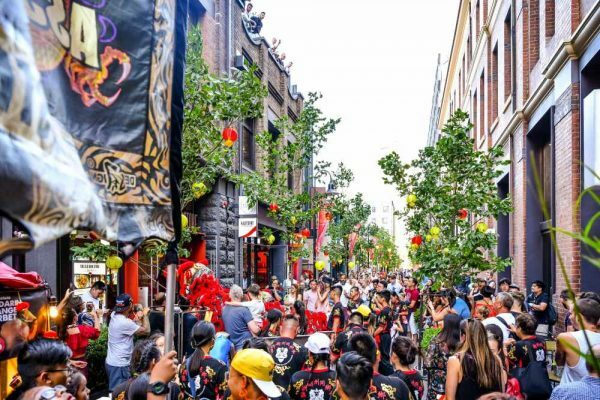 From 10 am on 8-10 February Playfair Street, George Street and Jack Mundey Place will be filled with stalls, lanterns and plenty of Asian inspired eats. Lion dancers will entertain at 1 pm and 7 pm each day. The market will run from 10 am to 10 pm each day. 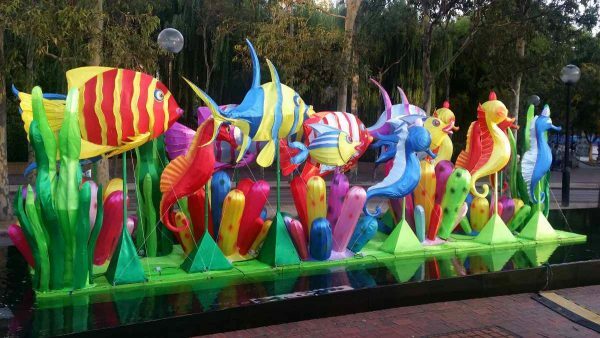 From its base in Tumbalong Park in Darling Harbour, The Chinese New Year Lantern Festival, not to be confused with the lanterns across the CBD, will run from the 14th till the 18th of February. The festival will host a spectacular Lantern display with what is said to be the most impressive collection of lanterns outside of Asia. 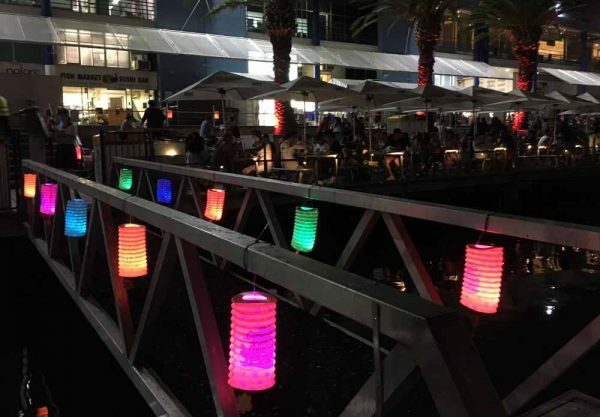 The lanterns will span over 9000 square metres with the main attraction, a lantern display which will go right across Darling Harbour’s Tumbalong Park representing the Great Wall of China. Along with the light show, there will be 60 shows, 60 food stalls, and lots of colour! Check the schedule of events and plan your visit. Another hugely popular event is the Darling Harbour Dragon Boat Races that sees over 3000 paddlers racing along Cockle Bay with over 100 races. Catch the action from 8 am Sat 9th, and 9 am Sunday 10th September, check the full program for times. Head to Kensington Street on Saturday 9th of February from 3 pm – 8 pm to join in the fun with this action-packed event. Lion dancing, a piglet petting zoo, DJs, and a variety of workshops showcasing lantern making, origami and calligraphy. For a bit of fun don’t miss Pigs and Pinot, the ultimate match for animal and wine lovers. For a small donation, the team from Handpicked Wines Urban Cellar Door will take you through a tasting flight of their wines while you hug a hog. All donations will be directly gifted to an animal welfare charity. Keep your eye out for paper cuts of pigs hidden around the area – these contain the best prizes with vouchers up to $500 from Spice Alley. Check the details for all the Kensington Street fun here. 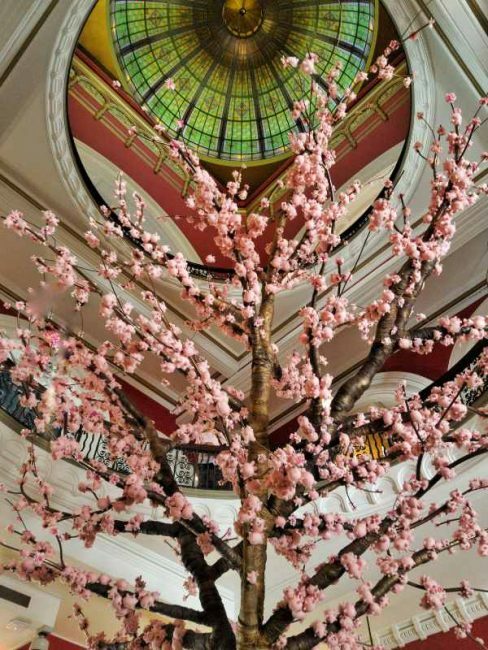 The Peach Blossom Wishing Tree has replaced the Christmas tree at the QVB this month. Standing 6 metres tall with a span of 4 metres, and covered with hundreds of tiny felt piglets for blossoms you are invited to sit and make your new year wish. Just write your wish on a card and head to the Level 2 Wishing Station where you can add your wish. There is also a few calligraphy service running Thurs-Sun where you can collect a LNY piglet print to take home. After a successful launch last year the Lunar New Year Twilight Dining will return to the Fish Market on Friday 8 February. Not usually open for evening dining the event will run from 4.00pm – 10.00pm and feature a Lion Dance performance at 6.30pm and lucky red envelopes will be handed out. After sunset, an impressive laser light show will be projected onsite. Dine on yum cha or seafood at the onsite restaurants or grab some takeaway and head to the waterside tables. Fireworks: Enjoy the spectacular fireworks show, at 9.30pm. 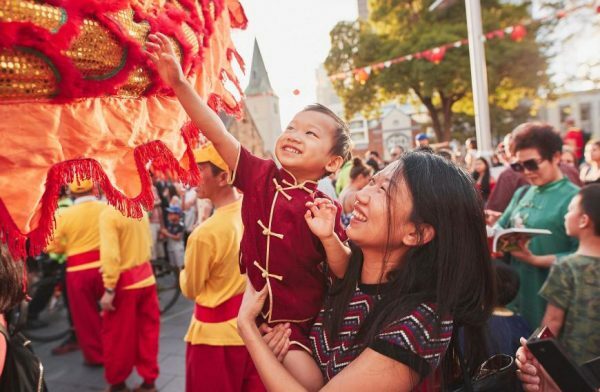 The most extended celebration in the city, the Chatswood Year of the Pig festival will run for three weeks from January 29 to February 19. Thirty-five Market stalls line Chatwood Mall selling food, drinks and Chinese goods. There are a couple of key events here including Celebration Day on 9 Feb and the Lunar New Year Twilight Parade of floats and dragon dancing on 16 Feb. Check out a free performance from Topotea tea masters. Observe a tea ceremony in action and learn about the etiquette and art of drinking tea. Runs from 11-2pm in the entrance forecourt of the gallery on Sunday 9 February. Cafe Opera – The Intercontinental Hotel will present a Chinese inspired buffet two options are on offer, with a deluxe seafood offering on the weekend and a non-seafood option Sunday to Thursday. $79/$89 per person. Koi – Kensington Street have added two special treats to their menu, Prosper: a cake featuring gold chocolate mousse, Frangelico ganache, vanilla caramel and hazelnut crisp and Lucky Velvet with red velvet sponge, raspberry cream cheese, hibiscus compote, dried rose and lychee. Hacienda Sydney – A Chilli tea cocktail is waiting to test your taste buds at Hacienda on East Circular Quay.